Billy Gray and Hytone Beau? Could that be The Kentuckian? That's him! 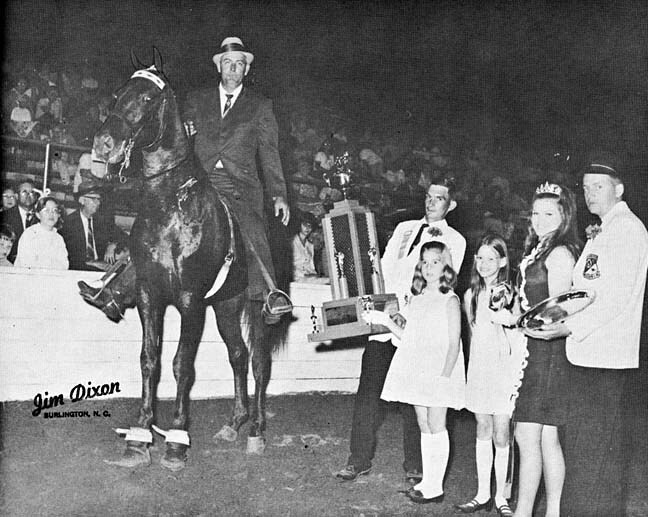 A former gelding world champion with Billy Morgan riding. Later shown in juvenile classes by one of the Woods girls, I think. This is Tuesday's Whodat. I'm posting it early, since I won't be on here tomorrow till late. She looks like Judy Martin? Decker - now you know good and well that is Judy - ain't she on Shady Lady? Judy Martin it is, riding a mare called "Honey Of Delight" back in the 60's. Her face hasn't changed, but I really don't remember her with the "bouffant" hair-do!!! 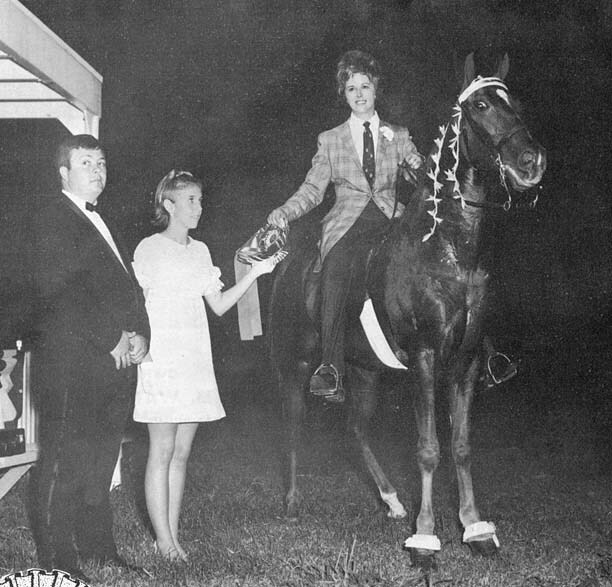 Though Smitty says this isn't Shady Lady, wasn't she Gayle Holcomb and/or James Sigmon's mare in the 70's? 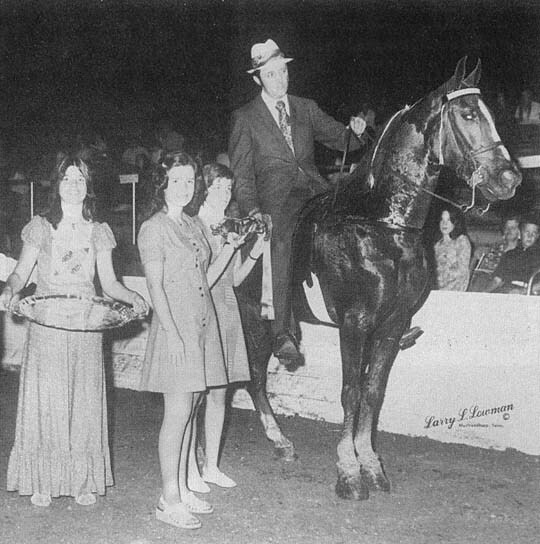 If I remember right, Shady Lady was owned & ridden not only by Gayle & James, but also by a lady named Betty Bennett. Oh, I'd forgotten about Betty Bennett. Anyone got a pic of her....reddish hair, always up in a little bun??? Maybe Jimmy Holloway from West Possumneck, MS.
Now you know I'm terrible with horse names, but he looks like a small horse. Hint: Believe that one was a "contenda" for the big stake!!! Izzit Rock And Roll or Big Shot? Delight's Rock and Roll is CORRECT! I loved that horse. He had a pretty long and successful career. Is that Joe Houk, presenting the itty bitty trophy?